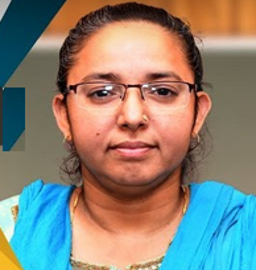 Dr. Poonam Kumari completed her Masters and Ph.D in solid mechanics from department of Applied Mechanics of IIT Delhi. She worked as Postdoctoral Fellow at School of Engineering of Simon Fraser University, BC Canada. Presently working as Assistant Professor at Department Mechanical Engineering of IIT Guwahati. She developed various 3D models and 2D models for analysis of piezoelectic plates and shells. Recently, she received INAE Young Engineer –2017 Award. She published 26 papers in reputed International Journals and almost 30 papers in International conferences. She has developed Moocs course on theory of rtectangular plates. This course is recemmeded by AICTE for faculty developement programme.